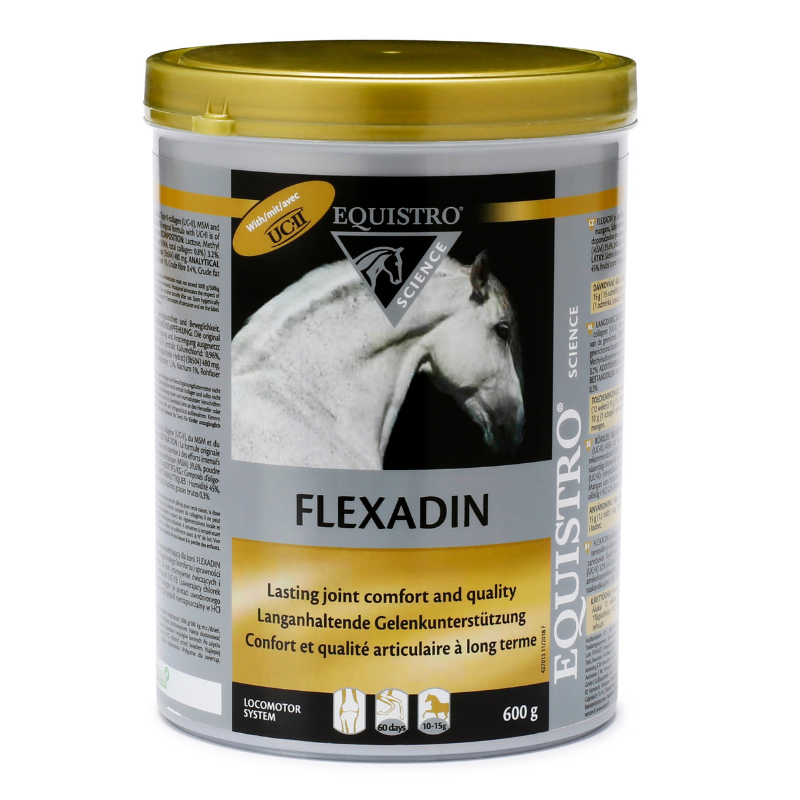 The FLEXADIN with UCII® original formula is of particular interest for horses whose joint mechanism is subject to intense effort and regular exertion. Contains patented collagen, MSM and chelated manganese, chosen to support a lasting joint health and mobility. The formula FLEXADIN with UCII® is analysed for environmental contaminant, ensuring that the product does not contain ingredients likely to make a positive doping test. Original complementary feeding stuff formulation based on a revolutionary concept, a patented collagen (UCII®) in combination with MSM and Ipaligo Manganese. UCII®: UCII®’s difference lies in its patented extraction process that ensures the undenatured (natural) preservation of its natural triple helix structure as opposed to the hydrolysed collagens often employed.